Creating a bridge between banks and the poor. Vaya lends at 22% for its own book. This rate allows Vaya to cover the cost of debt capital from banks (average rate of 12%) and the high cost of delivering and servicing small loans (average cost of 10%). Even at interest rates of 22%, our customers earn significant profits because there are high returns on micro-enterprises. Impact assessments have demonstrated that micro-loans for income-generating activities improve people's lives by increasing their incomes. India has experienced tremendous growth in the past two decades, but poverty remains, especially in rural areas. An estimated 30% of Indians live below the poverty line of less than $2 per day. The majority of Indian workers are self-employed, mostly in rural areas because there are not enough salaried jobs. They subsist as small farmers, raise livestock, work as petty traders or engage in a variety of village crafts such as pottery, weaving, or carpentry. Discover Vaya’s impact by rolling over a region on the map. Kavita provides flowers and garlands for weddings, housewarming ceremonies, and other functions. 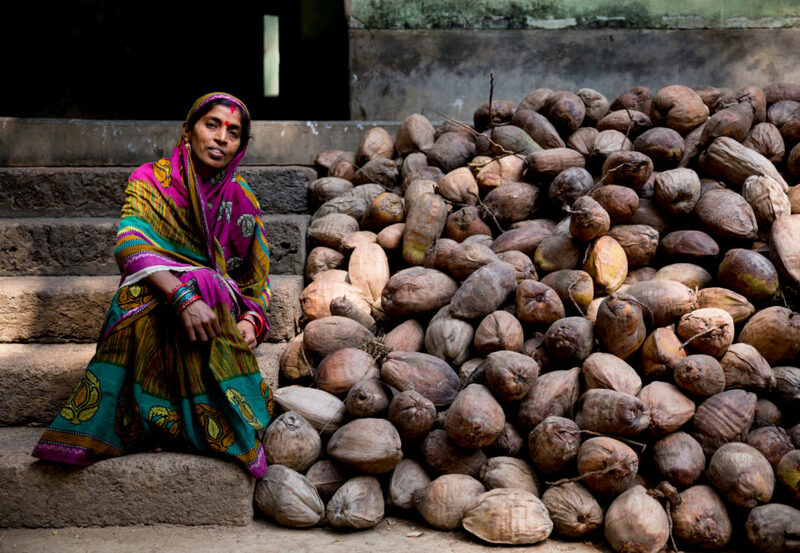 With a loan from Vaya, she increased her harvest and profits. Halfway through her loan cycle, Kavita talks about her experience and hopes for the future. Sangeetha has been rolling beedis for 20 years, but she was losing Rs. 50 of potential income every day because she couldn't afford to buy her own leaves. With Vaya's help, she's taken a step closer to independence. Subbamma is a 35-year old sugarcane farmer who took it upon herself to form a 'sangam' - a group of women - so that they could all benefit from microloans. In 2015, she took a two-year loan from YES Bank through Vaya to increase her harvest. With the loan period drawing to a close, she tells us about her experience. 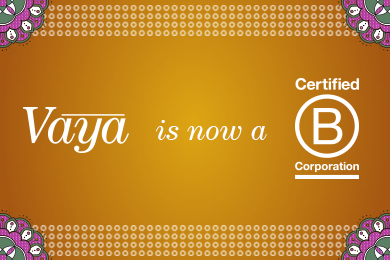 Vaya is now part of Certified B Corporation community, a global movement of people using business as a force for good. 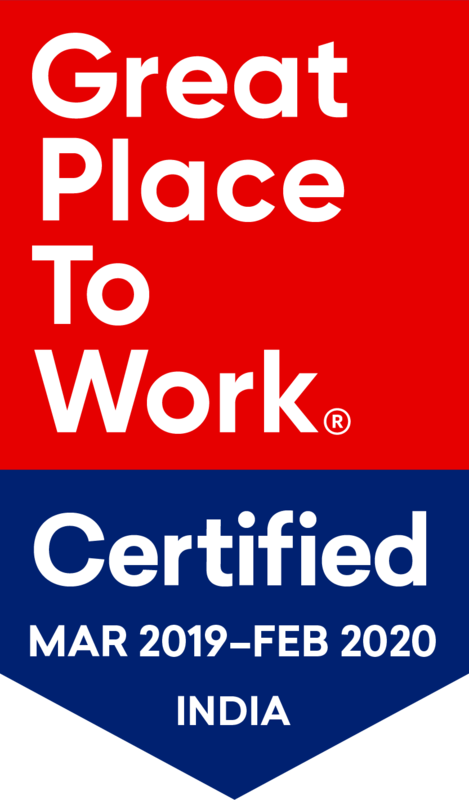 We are certified for meeting the highest standards of overall social and environment performance, transparency and accountability. Kavita provides flowers and garlands for weddings, housewarming ceremonies and other functions. She took a loan through Vaya Finserv and increased her harvest and profits. With half her loan repaid, Kavita talks about her experience and hopes for the future. Subbamma is a 35-year old sugarcane farmer who took it upon herself to form a 'sangam' - a group of women - so that they could all benefit from microloans. In 2015, she took a two-year loan from YES Bank through Vaya Finserv to increase her harvest. With the loan period drawing to a close, she tells us about her experience. Assisted by Vaya in starting her puffed rice business, Gaya Devi has found a way to be fiscally independent and stand on her own two feet. Here, she describes her experience. Armun runs an embroidery business with her husband. They do intricate "zari" work on vivid saris. With Vaya's help, she bought materials and paid an artisan. Now that she has repaid her loan, she wants a second one to hire more artisans and increase production. She has five beautiful daughters whose future she wants to secure. Balamani and her husband took out a loan of INR 60,000 for their daughter's wedding. Her husband is working off the debt with their creditor; an entire year's salary will go towards repayment. Balamani, meanwhile, washes clothes, takes up agricultural work and sundry small jobs to help out. With a loan from Vaya, Balamani bought a buffalo, and with it, a steady supplement to her income. With only a few months left until their debt is cleared, Balamani describes her experience with the loan and her aspirations for the future - she wants to run a dairy farm, turning that steady trickle of income into a viable, reliable business. When Surekha lost her husband to suicide 10 years ago, the care of their four children fell entirely on her vulnerable shoulders. With no business or work experience, it was difficult to find a lender who had faith in her ability to repay. But Surekha had faith in herself. With the help of Vaya's loan, she bought goats and became a goat farmer, learning about business and the management of money on the way. This is the story of her courage, resilience and optimism in the face of tragedy. Shahana found her first loan from Vaya so useful to her business (apart from making flutes, she was able to help her son set up a mobile shop) that she took another loan soon after repaying her first one. 4 instalments into the repayment cycle of her second loan, she explains how she uses the loan money and what she hopes to gain for her business and her children. Annapurna is a smiling young lady of very modest means. Every day, she weaves and sells towels. With Vaya's help, she was able to procure material in bulk. For her family, she dreams of owning a refrigerator, a grinder and her own home. For herself, she dreams of travelling, starting with Puri and Konark. Like so many of our customers, she is willing to work hard for a better future. Sushama is a quiet lady who has honed her expertise in the colourful craft of painted wooden idols of the famous Puri Jagannath deity. Her aspirations are simple and universal: a flourishing business and a better quality of life for herself and her family. With Vaya's loan, she can begin to lay the practical groundwork for the expansion of her business. Through her job with Vaya as a field credit officer, Jayamma is able to both help support her family, and give the women in her community the financial support they deserve. She is an independent woman who takes pride in her work and is touched by the affection and respect customers show her. Shahana found her first loan from Vaya so useful to her business (apart from making flutes, she was able to help her son set up a mobile shop) that she took another loan soon after repaying her first one. 4 installments into the repayment cycle of her second loan, she explains how she uses the loan money and what she hopes to gain for her business and her children.